Give your outgoing mail a cool and colorful look without sacrificing serious professionalism. 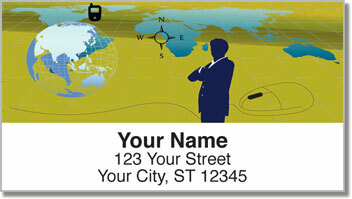 This set of original return address labels features images of frequent flyers that travel the country and crisscross the globe negotiating deals and making connections. 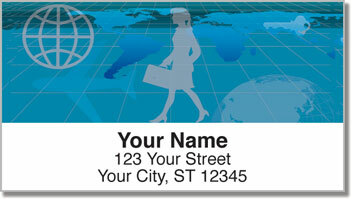 Style and sophistication are perfectly blended on Business Traveler Address Labels from CheckAdvantage. They're a unique choice for both first-class passengers and those of us who get stuck with the middle seat in coach. Order these labels to discover how much time you save preparing your outgoing mail! 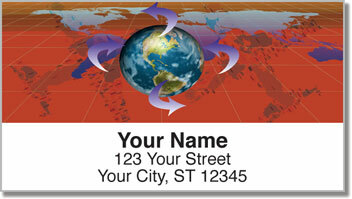 You'll never have to go through the painstaking process of printing your name and address on every envelope again! 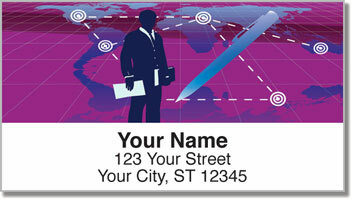 Get Business Traveler Address Labels right now! This design is also available as matching personal checks.